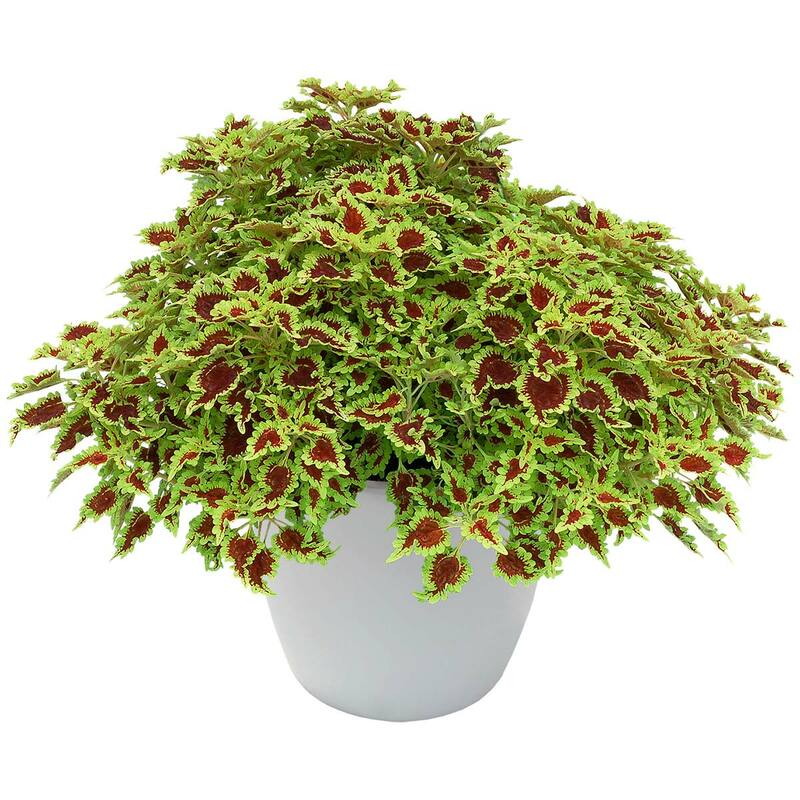 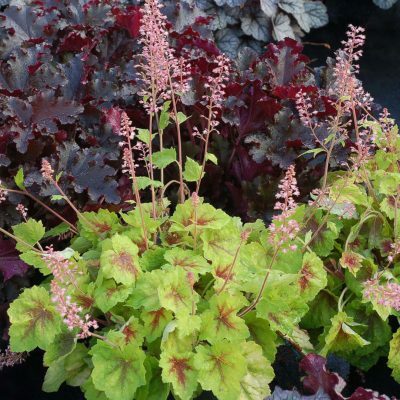 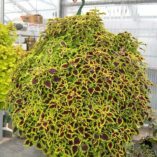 Coleus FLYING CARPET™ ‘Zinger’ | TERRA NOVA® Nurseries, Inc. 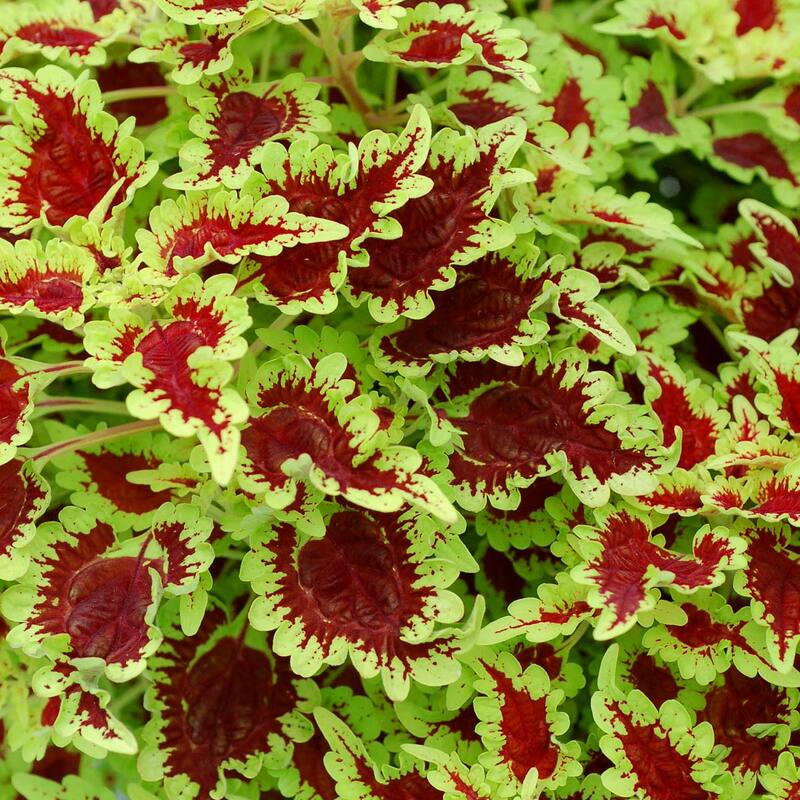 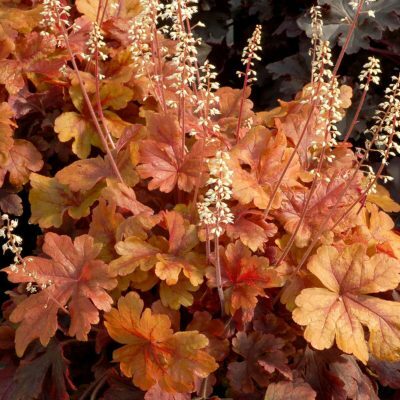 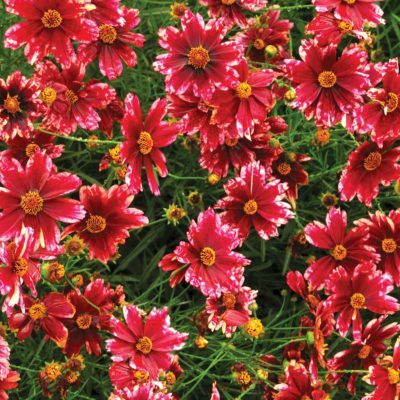 The foliage has a bright lime edge with a scarlet center that fans out over a rippled and rounded toothed border. Its dense, full cascading habit looks perfect alone in a basket. 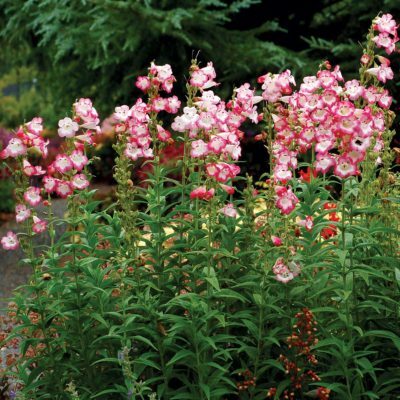 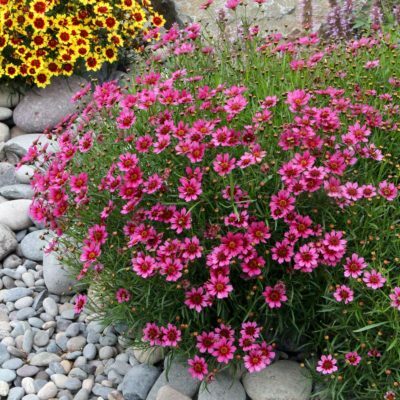 Combine with trailing annuals like Calibrachoa and Angelonia. 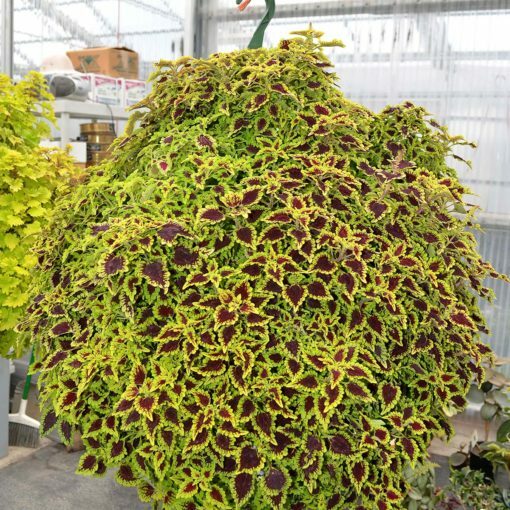 24" / 24" / –"
The FLYING CARPET™ Series are all new Coleus breeding with low, dense, trailing habits.